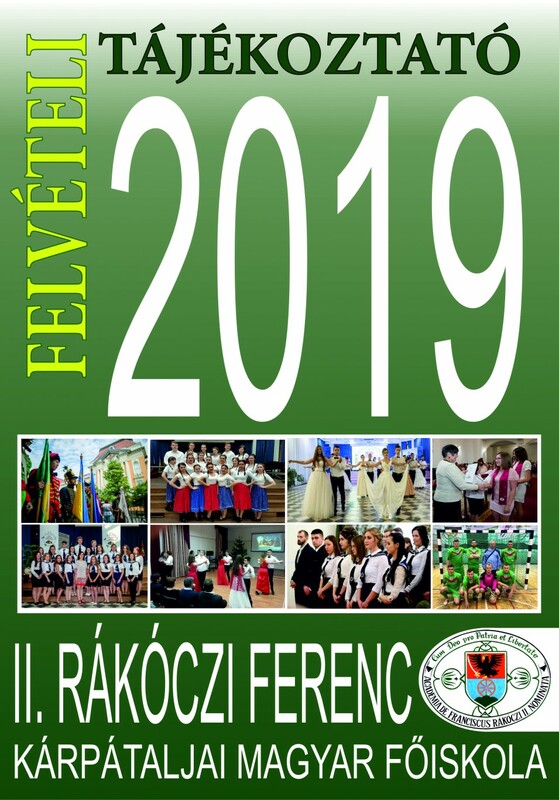 On April 1st the twentieth anniversary of its foundation was celebrated at Ferenc Rákóczi II Transcarpathian Hungarian Institute by its management, academic staff, colleagues, students and all those maintaining contact with the educational establishment. 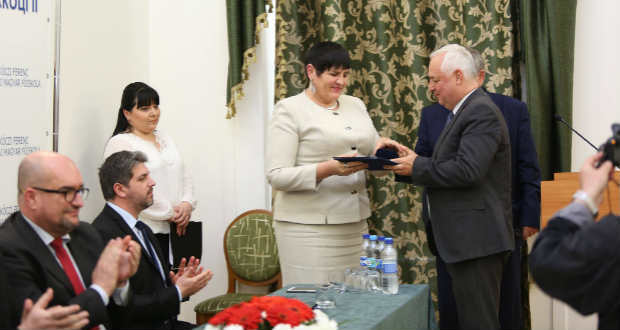 The ceremony was opened by Rector Ildikó Orosz after the National Anthem recital, who pointed out that over preceding two decades, the institution has become Transcarpathia’s cultural center, or as some refer to it, a stronghold of the Transcarpathian Hungarian cultural life. The story of struggle and success – was her concise culminating account of the Institute’s history, then turning to statistics she substantiated her claim. László Brenzovics, Member of Parliament of Ukraine, Chairman of the Hungarian Cultural Federation in Transcarpathia and President of the Foundation for Transcarpathian Hungarian Institute, recalled his personal experience related to the Institute’s foundation, drawing the attendees’ attention to the fact that we have to implement our intentions then and there when the opportunity presents itself. He thanked the institution’s supporters for their faith, assistance and perseverance. Bacskai József, Deputy State Secretary of Ministry of Foreign Affairs and Foreign Trade of Hungary assured those present that Rákóczi Institute would remain Hungary’s strategic partner, promising further support of Hungarians in Transcarpathia and the Institute. Many of the invited guests who could not personally attend the ceremony extended their good wishes in their letters to the institution. MEP Andrea Bocskor sent a congratulatory video message to the Institute, recalling her experience as its former student and then as a lecturer. She expressed her pleasure of having the privilege of being accompanied by the Institute throughout her life. Welcoming words of the Minster of State for Hungarian communities abroad Árpád János Potápi were extended by Klára Nagy, delegate of the Ministry of State for Hungarian communities abroad of Transcarpathia. The leaders of the Hungarian higher education institutions also delivered speeches: the representatives of the University of Nyíregyháza, Szent István University and the University of Debrecen also congratulated the Institute, and wished every success in implementing its plans. Vice-Rector of the University of Debrecen András Jávor came with good tidings to Transcarpathia, announcing that the new chapter of cooperation between the educational establishments would become the expanding of the professional palette of Rákóczi Institute with new degree courses commencing in September. On behalf of the University of Debrecen Vice-Rector presented the Institute with the Pro Universitate Award. Representatives of the Ukrainian higher education institutions also conveyed their good wishes to the Institute, wishing further success and presenting gifts. The final greetings were extended by Dominik Bodor, President of the Student Self-Government and Béla Rácz, Vice-Rector, President of the Alumni Association of Rákóczi Institute, at the end of which the guests could watch the Institute’s campaign video. 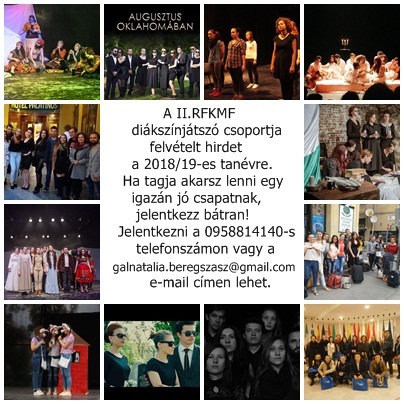 The ceremony was made more vivid by performance of music and poetry by Transcarpathian Folk Conservatory, the institution’s students under professional supervision of musical ensemble Kokas. Summarizing its 20 year long history, a volume Hungarian Institute in Ukraine – Future as a Balance of Twenty Years was published, which was taken over by the participants of the event and would soon be available in electronic form. Closing the event representatives of historic churches blessed the institution and the participants.